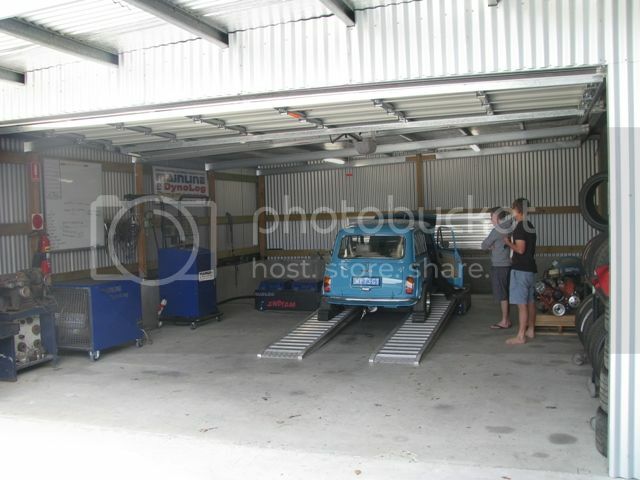 ausmini • View topic - Phase two of Clubman Project "Twinky"
Phase two of Clubman Project "Twinky"
Post subject: Re: Phase two of Clubman Project "Twinky"
Yay, that's awesome news it's all coming along finaly. Good luck with the final tunes. Steve have you checked the distance and vibration of the trigger sensor... as you said sounds like timing,, good work on fixing the fuel /rail/ lines/ regulator.,, it is close. with clutch, with all new gear and machined to suit flat have you a worn clevis pin? and a totally noob question.... do you have to change HT leads to different resistance for the coil fired jobs??? FNQ, I'll try to answer what I think you are asking. The trigger pick up is as close as needs be, and the ECU is getting a strong signal. I don't know how you would check for vibration. With the clutch, the ball on the end of the lever has been mig'd up and linished to as new tolerance. New clevis pin neat fit in the lever and few thou in the clutch cover. Plug leads are MSD leads, don't know if they are special . Silly question? With the clutch , I assume you checked the idler gear clearance? This is what caused me grief in the past as the primary cover gasket was too thin, black type and the idler gear was binding and causing issues with trying to select gears. I only have a lightened mini flywheel in my Supercharged mini with an orange dot pressure plate and a race clutch plate and it is just a little heavier than the standard Cooper S setup. Also check the plate that the thrust bearing presses against as the new ones are crap and very soft. Try and find an old one as I found the new type grind/wear down very fast with the extra pressure of the orange dot p/plate. My clutch was a real pain to get right. Med assembly with orange diaphragm and normal clutch plate. New cylinders (0.75 bore, not 0.7 for the MC), flexible line, pins, arm, plunger, etc. No air in the system, etc. One year latter I realised the master cylinder rod on tin can is shorter than that on the latter clubman plastic reservoir system. Made up a longer rod, which gave more travel as it allowed the pedal to come out further when you take your foot off. (if you make it too long it will hit up inside the pedal box area). I had an original tin can in a clubman (GT) pedal box. Probably unusual to use the eary tin can in a later car. I know the pedal box from the clubman is different (to support the dash), but it may be the same geometry as the early ones. Would like to check this one day. All good with the longer rod in the tin can (about 4mm). The other check you should do is confirm the master cylinder bore is 0.75, not 0.7 inch. The other thing you should do with new clutch slave cylinders- `silver' ones is pull the piston + seal out, then fit the seal spreader (goes on the inner spring) from your old slave cylinder. The new ones are totally WRONG design.. so the rubbers collapse inwards particularly when parked for a bit. No idea again, but throwing ideas at you ( flame them down as you will) at one point you thought 220cc injectors needed and now have 205? .. I may have missed it, but how do you know the injectors size in incorrect if you have not been able to get it running right? Was there a big lean out in the 02 readings? Have you put a timing light on it to see if there is large scatter or its ok? I know you have spoken to Matt Reedon it who is the man on these conversions, what else has he come up with? Also what brand injection system are you using? Michael, The idle gear was set with the flywheel housing bolted to the gearbox with the gasket and given 4thou clearance. Indigo, Tall M/C and worked perfectly on the other motor, but was thinking about building up the tip of the rod out of the slave. Kev, Yeah, one of the silver ones, this might be worth a check. Grant, Specilist Components run 220cc injectors, info from forum member. Motor would run with carby cleaner, then run out. It was also the fuel pressure with the BMW FPR could only get 34lbs. Don't forget Matt's conversion are many and quite varied, Turbo, non-turbo, carbs, single throttle bodies on plenums and different ECU's and not limited to using original K1100 throttle bodies and injectors. No idea again, but throwing ideas at you ( flame them down as you will) at one point you thought 220cc injectors needed and now have 205? Thanks for all the opinions, it really does help and I would be lost without it. Last thing on the clutch, as I said It still has to be trimed in on the dyno and the idle is mainly around 1000 to 1500, which is not helping getting it into gear. has the different firing order change the sound off it ? what sort of power have you got so far ? Hi Mark, Definitely a different sound. 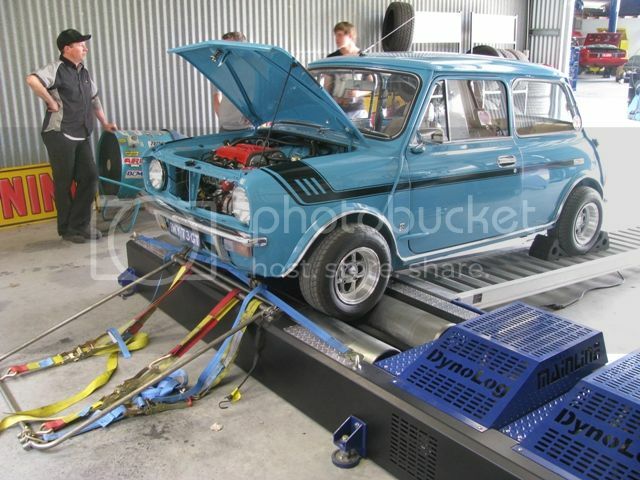 It's probably a combination of firing order and quad throttle bodies, but the dyno makes a whole lot of it's own noise. It sounds and feel strong, but we won't be sqeezing the life out of it until I get a few road K's on it. Bout a 125 klm,s from Goulburn to Narellan is it not ?